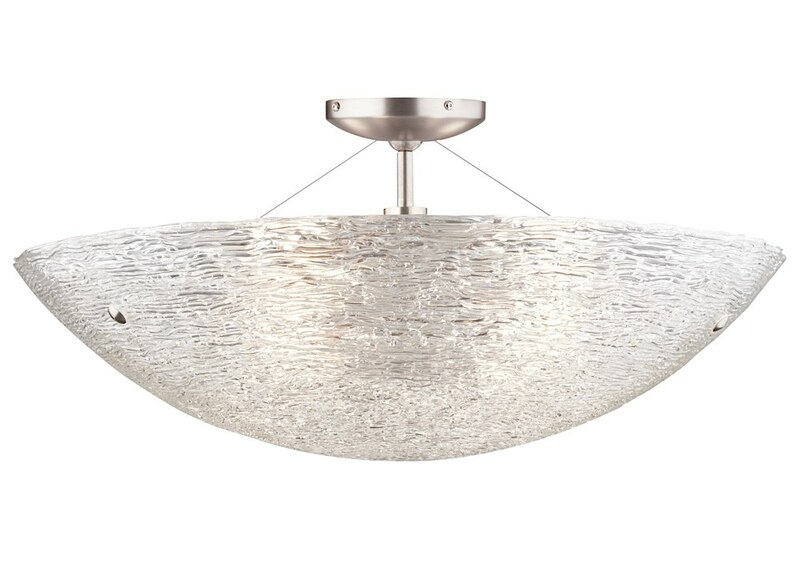 The Trace is formed from layers of clear glass piping, and highlighted with satin nickel or bronze metal hardware. Creates brilliance and dazzle wherever it is displayed! The incandescent includes four 60W medium base lamps. The fluorescent includes four 18 watt compact fluorescent lamps. The incandescent version is dimmable with a standard incandescent dimmer. For full information, download the specification sheet.